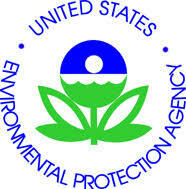 Environmental toxicology laws in the U.S. Many environmental toxicology laws were passed in the United States in the last 100 years. I have listed the major ones with a short description of what they state. While many of these laws were modified after passage, I have only provided the decade in which they were first enacted. You will notice that the majority of laws were passed in the 1970s. Not surprising, considering that the 1960s and 1970s were the decades in which the modern-day environmental movement began. Federal Food, Drug, and Cosmetics Act (FFDCA): The Food and Drug Administration (FDA) oversees the safety of food, drugs, medical devices and cosmetics. A maximum residue limit must be set for pesticides in food to ensure ‘reasonable certainty of no harm’. Federal Insecticide, Fungicide and Rodenticide Act (FIFRA): The U.S. Department of Agriculture (USDA) was first made responsible for regulating pesticides. This job was handed over to the Environmental Protection Agency (EPA) in 1972. All pesticides must be registered with the EPA before sale and should not cause ‘unreasonable adverse effects on the environment’. National Environmental Policy Act (NEPA): All branches of government must consider the environment before taking any major action that affects the environment. Endangered Species Act (ESA): Provides a program for conservation of threatened and endangered species and their habitats. All federal agencies must ensure their actions do not harm listed species. Clean Water Act (CWA): Made it illegal for industries, municipals and other facilities to discharge pollutants into water bodies without a permit. Also, water quality standards must be set for all contaminants to ensure aquatic life is protected. Safe Drinking Water Act (SDWA): Protects the quality of public drinking water sources. Standards must be set for man-made and naturally-occurring chemicals in drinking water. Clean Air Act (CAA): Regulates emissions of hazardous air pollutants. Air quality standards must be set to protect public health. Toxic Substances Control Act (TSCA): Regulates the production, importation, use and disposal of new and existing chemicals that pose an unreasonable risk to humans or the environment. Excludes pesticides, food, drugs and cosmetics (as they are governed by other laws). Resource Conservation and Recovery Act (RCRA): Creates framework for safe management and cleanup of hazardous and non-hazardous solid waste. Marine Protection, Research and Sanctuaries Act (MPRSA): Also known as Ocean Dumping Act as it regulates the dumping of certain materials – that can adversely affect humans or the marine environment- into the ocean. Comprehensive Environmental Response, Compensation and Liability Act (CERCLA): Also known as Superfund. Federal authority was created to deal with releases or threatened releases of hazardous substances into the environment. Complements RCRA. Nuclear Waste Policy Act (NWPA): Establishes a program for the safe disposal of highly radioactive waste. Standards must be developed for protection of the general environment from offsite releases of radioactive materials. Oil Pollution Act (OPA): Creates framework for preventing and responding to catastrophic oil spills. It assigns liability for the cost of cleanup and damage. Food Quality Protection Act (FQPA): It modified FFDCA and FIFRA. It says that EPA should re-evaluate pesticide registrations every 15 years and that pesticides should be screened for effects on endocrine system.